Despite what the average homeowner may think, there are numerous ways to keep your home warm during fall which don’t require much or any electricity at all. When it comes to heating your home, there’s no better option than a complete ducted heating system. These are the systems which include vents in all of your rooms and can be controlled to regulate the temperatures around your entire home. There’s just one catch. They tend to use a lot of energy! If you don’t have a system such as this or you are looking to reduce the amount of electricity you use this fall to heat your home, below is a post from Archer Cleaning & Restoration Services which can help. If you are lucky enough to have a fireplace in your home then you are looking at the perfect alternative to an electricity-fueled heating system. 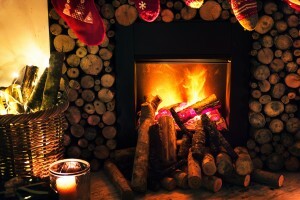 In order to take advantage of your fireplace, be sure to clean it or have it cleaned sooner rather than later. As the fall weather starts to get cooler, more and more homeowners will start to call their local fireplace cleaning services, causing their prices to rise and their appointment availability to drop. Once your fireplace is ready to use, be sure that it remains safe to use. This means continuing to take care of it, cleaning it regularly, ensuring that it has a fireguard protecting embers from coming out, along with always keeping it clear from decorations or furnishings which could easily catch alight and cause serious problems inside your home. The insulation inside your walls is great at regulating the temperature inside your home, however, it doesn’t last forever. If you can’t remember when yours was installed or you know that it’s coming to the end of its lifespan, replacing it can be a great option to help keep your electricity costs down. While it may seem like a large upfront cost, it can have drastic positive long-term effects, not just for heating your home during the colder months but also keeping your home cool when the temperatures begin to rise. If your home has sustained damage or there is a repair job which is just too large to do yourself, Archer Cleaning & Restoration Services can help. Call today at 888-436-3499 and speak with restoration services experts about how their professional staff can get your home back in order quickly, thoroughly, and more importantly, safely. If your living space shares a door with your kitchen, keep it open as you cook. The residual heat from the oven and your other cooking appliances can work wonders when it comes to taking the chill off the air. If possible, consider a small fan which can help the hot air in your kitchen to flow into your living space. Of course, remember that your cooking appliances shouldn’t be used as a heating element. That is to say, turning on your oven and opening the door to use as a heater is not only a bad idea but an expensive one! If you have a small space heater, it’s okay to use it on occasion and for short instances, however, be sure that it’s used for its purpose. These small heaters aren’t designed to heat large areas and only really work when used in a small closed-off space. For this reason, if you have a living room in which you and your family all gather to watch television or play games, keep the heater in this room and be sure to close the doors and curtains to help keep the warm air in. Speaking of curtains, if you have curtains or even shutters in your home and your house is positioned in a way which sees natural sunlight during the day, no matter how small it is, consider opening your curtains or shutters to let as much natural warmth into your home during the day. Of course, as soon as the sun starts to go down and the temperatures being to drop, be sure to close your home to trap as much of the warm air in as possible. If your home is in need of repair or you have returned home to flooding or other large-scale damage, Archer Cleaning & Restoration Services can help. Call today at 888-436-3499 and speak with an expert about how their experience and professional grade equipment can get your home back to its former glory in no time!